Last week we covered taking care to look after the oil in your vehicle. This week continues the check-list for summer maintenance by staying inside the hood. Now that the oil is taken care of, let’s see how the belts and hoses are doing. If I was able to compare the oil to the blood of a body, then the belts and hoses would be the skeleton and muscle system. And the veins…really we should just drop this whole thing, it’s getting too confusing. Anyhoo, hoses in a vehicle are made to get things where they need to go. The specific place we’ll be looking at is the radiator as well as the coolant. These hoses are meant to make sure your car stays cool in the summer heat. To start with, it’s time to pop open the hood again and do a visual and physical examination of the engine and the hoses. Look for cracks or loose connections. Check if the hose is firm, it should not be soft or easily malleable. The last thing any driver wants is for one of these to spring a leak or come loose during a drive. That can lead to the car overheating and putting you on the side of the road waiting for a pick-up. Do the same for the belts in the vehicle. Check them over for cracks or any other forms of damage. These are another piece of equipment you do not want failing at the worst possible time. 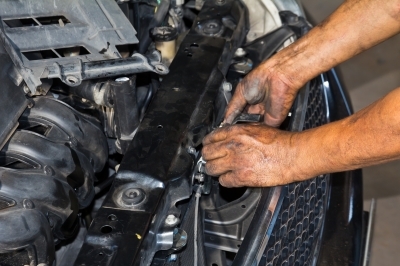 If you need to get your vehicle’s hoses and belts inspected, then contact us at Bayside Chrysler Jeep Dodge’s service center. Be sure to like us on Facebook and to follow us on Twitter to see our monthly deals and service specials.